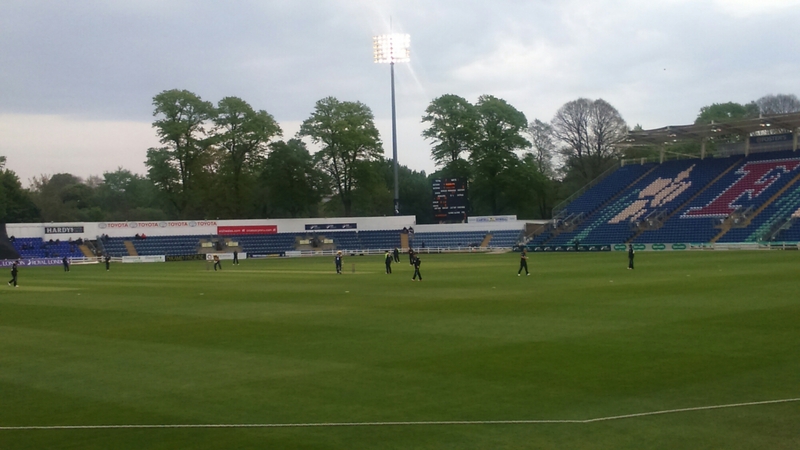 This morning I headed down to Sophia Gardens to watch a limited-overs match between Glamorgan and Surrey, the first game I’ve ever seen in the Royal London One-day Cup, a 50-overs a side competition. The weather forecast for today wasn’t encouraging and I almost didn’t go as I thought there wouldn’t be much play. I did, and am glad I did so as there was a full session despite the murky weather. As I settled into my seat I noticed a gentleman nearby who was wearing a thick overcoat, scarf and gloves. His ensemble was completed, somewhat incongruously, by a white sun hat. Anyway, having lost the toss and been put into bat, Glamorgan were all out for 239 in the 48th over. The highlight of the innings was a belligerent 72 from Colin Ingram, who hit two enormous sixes on the way. That aside, it wasn’t a great batting performance, and 240 to win does not seem to be a particularly challenging performance. 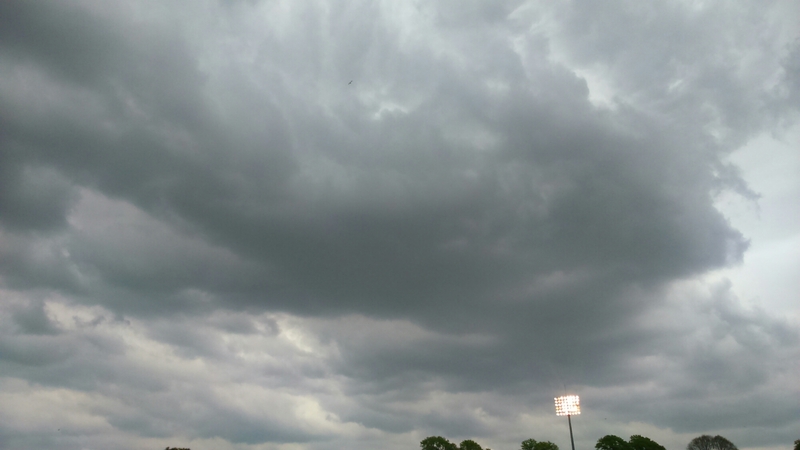 Rain had actually arrived by the last few overs of the Glamorgan innings. but it wasn’t heavy enough to stop play. It was, however, enough to persuade me to go home for a late lunch and to warm up a bit. Glamorgan’s next game in this competition is on Tuesday 2nd May against Sussex at Hove. I would have liked to go to that, but unfortunately I’ve got work commitments on Tuesday so I can’t. The next game in Cardiff is on Friday 5th against Somerset. I will go to that, weather permitting..
UPDATE: after a lengthy delay, Surrey were set a target of 182 to win off 29 overs (by the Duckworth-Lewis method). They rattled off the runs with 5 overs to spare.